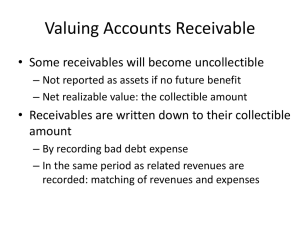 Receivables are amounts due from individuals and other companies. 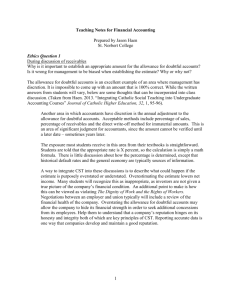 A classic general journal sequence for credit sales. expected to be received in cash. loss is charged to bad debts expense. • Bad debt expense shows only actual losses. will show only actual losses from uncollectibles. when bad debts are material. in the same accounting period. 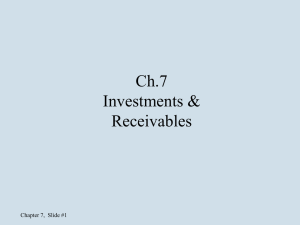 Accounts at the end of each period. 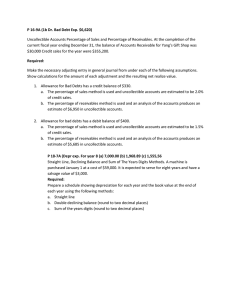 at the time the specific account is written off. 1 reverse the write-off entry. 2 record the collection in the usual manner. estimated to be uncollectible, based on past experience. 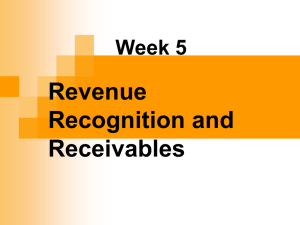 • Matches expenses with revenues. 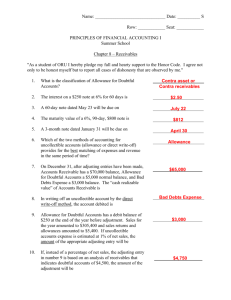 • No consideration given to existing balance in the allowance. bad debts expense is $8,000 (1% X $800,000). 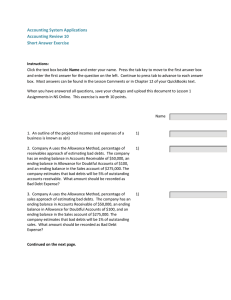 • Bad debt expense based on % of the ending balance in A/R. 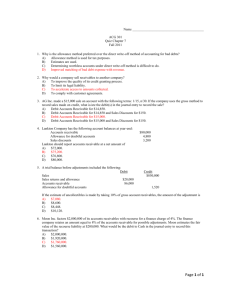 balance and the existing balance in the allowance account. 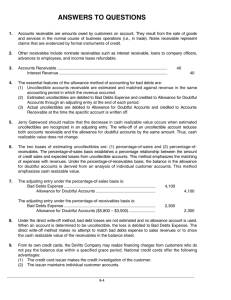 • Estimates NRV of receivables. be for the difference between the required balance and the existing balance. 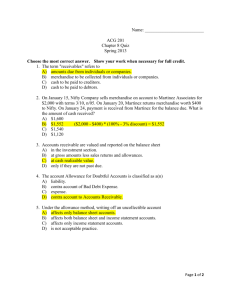 is referred to as a balance sheet method? 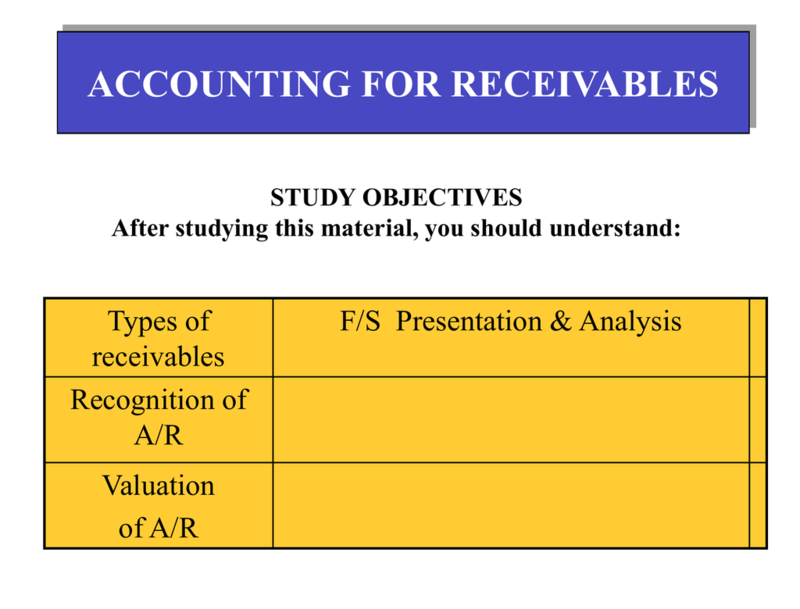 Answer: (A) Percentage of receivables method. the current assets section below short-term investments. ratio that makes liquidity even more evident. • This is done by dividing the turnover ratio into 365 days.